Okay, this is a fun surprise. In addition to all of the standard TV and appliance talk, Samsung used its CES press conference today to announce a number of different robots — an entirely new field for the consumer electronics company. 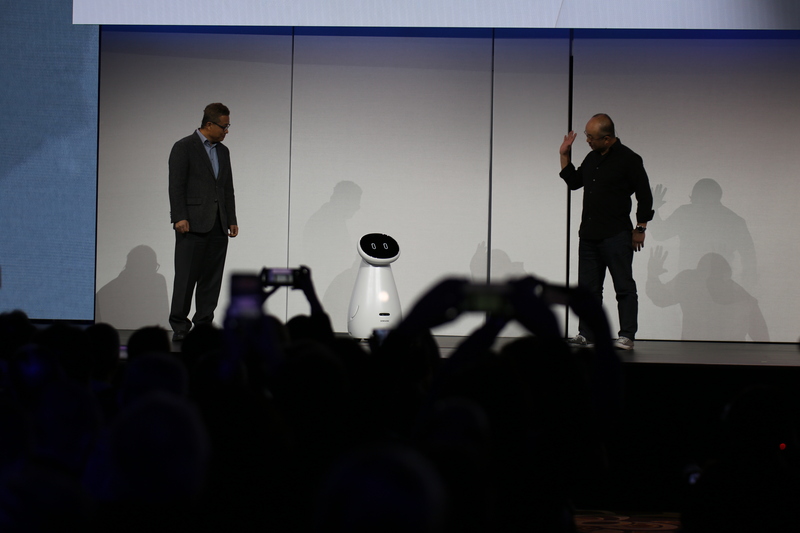 The company offered a sneak preview of the Samsung Bot Care on stage at the event. The rolling home robot is a health care assistant designed for elderly users and other people in need of home assistants. The robot can offer health briefings, give out medication and check a user’s vitals. 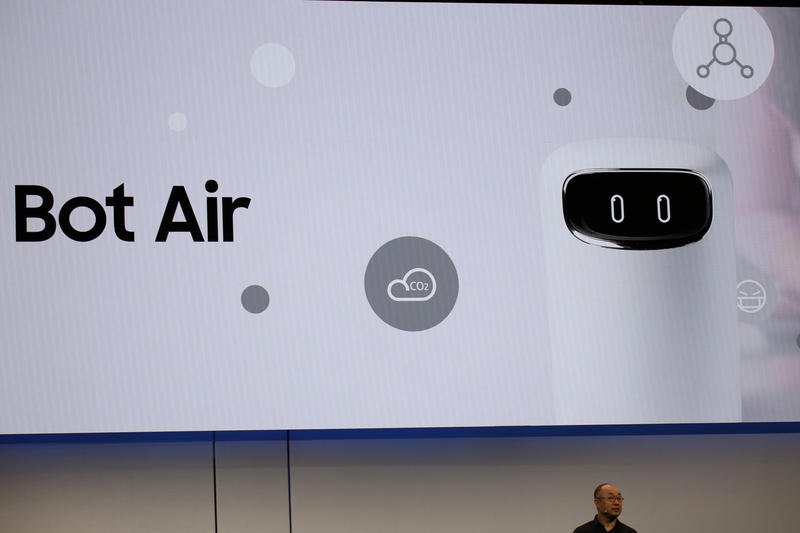 There’s also the Samsung Bot Air, which is an in-home air quality monitor and the Samsung Bot Retail, which brings that technology into a brick and mortar setting. In addition to all of these, we got the briefest sneak preview of Samsung Gems, a mobility assisting exoskeleton that appears to be targeted athletes. Samsung really blew through all of that as a kind of “one more thing” at the end of an event in which it spent a majority talking about Bixby on washing machines and the like. Between that and the general lack of information around availability, I suspect we won’t be seeing any of these products in stores any time soon. Hardware is hard and robots are harder. Still, a fun little glimpse at what might be around the corner from the company.